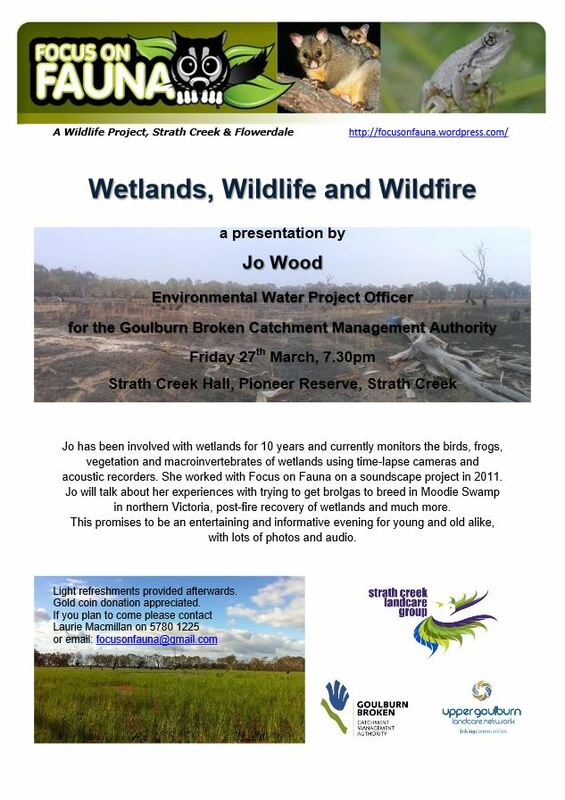 Strath Creek Hall is the setting for a talk next Friday by Jo Wood, Environmental Water Project Officer with the Goulburn Broken Catchment Authority – click on the flyer at right for full details. Jo’s considerable experience includes preparing management plans for wetlands and monitoring wetlands using time-lapse cameras and acoustic equipment to record birds, frogs, vegetation and macroinvertebrates. In the last year she has also been involved with the recovery of wetlands near Shepparton after the Wunghnu fires. 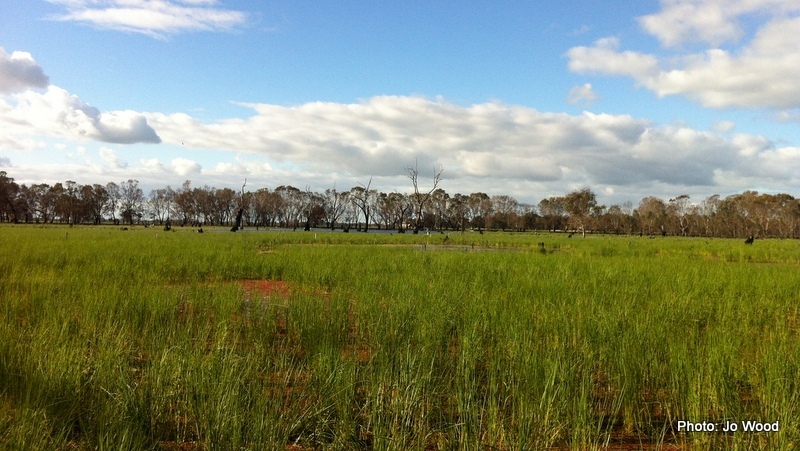 Clearing and drainage for agriculture and urban/industrial development has led to the loss of more than one third of Victoria’s wetlands since European arrival. Numerous farm dams have been constructed, but they rarely have the complexity or structural diversity of natural wetlands. The remaining wetlands, many of which are on private land, therefore represent a valuable sanctuary for wildlife and native aquatic and wetland plants. Ronlit has provided us with some wonderful wildlife images from our local Yea Wetlands, where he is an enthusiastic volunteer. Just email focusonfauna@gmail.com and let us know how many of you are coming. Look forward to seeing you there.